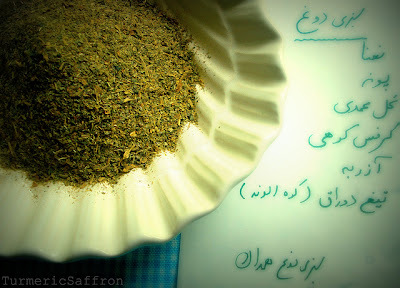 I know the herb that is used in the recipe for Doogh from Hamedan (tigh tooragh). Do you know what it is called in English, if there is an equivalent)? I even remember the shape of the grayish green leaves with thorns on the edges. I noticed "sabzie Doogh" is from Hamedan. Are you by any chance from Hamedan? Golnar jan,I don't know its English name. Anonymous, my parents were born in Hamedan. Great Blog and amazing high quality photos. You made me proud to be from Hamedan! I tried to make my own yogurt once but it ended up quite disastrous. Interesting drink too. very curous about how it tastes like. 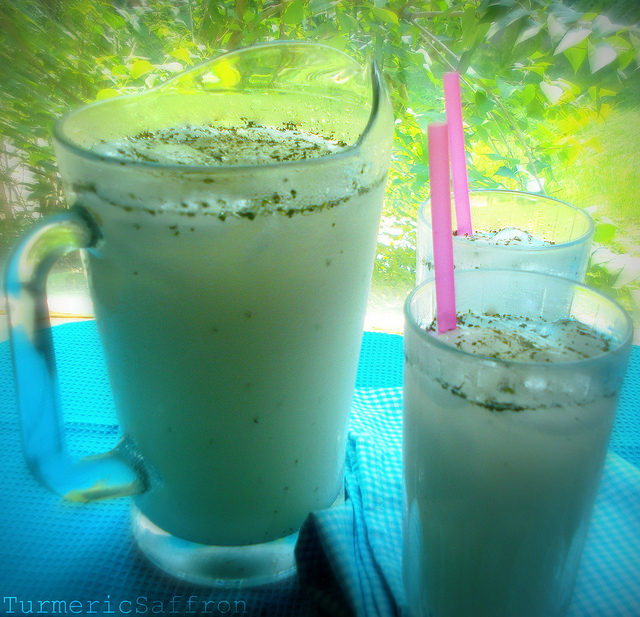 Yesterday it was so hot and humid and i was thinking all day of making ayran, our Lebanese-style doogh; sounds so good and we have almost identical drinks! LOVED that Shajarian concert; it made me wish I understood Persian because his voice moved me to tears. Azita, back in Brazil we used to make our ouwn yogurt...and I totally forgot about it...until now :-) I love doogh...so refreshing. 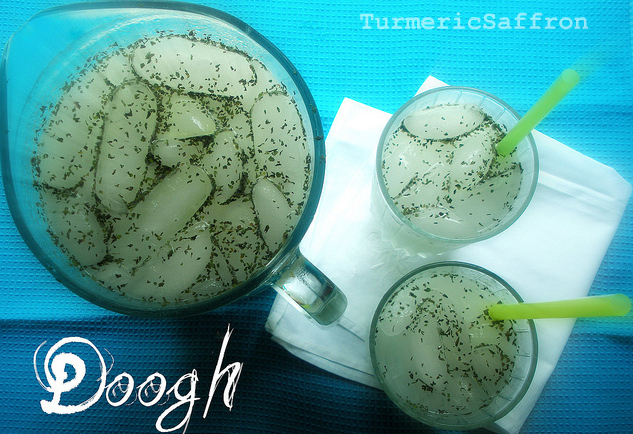 Doogh is a favorite of mine - but I go for a spicier version with a fair amount of cracked black peppercorns - cooling and spicy at the same time! I have so enjoyed fliking through, my partner is back in Iran and he used to cook so much....i miss his cooking and now i miss it even more... his rice was always nice and crispy......now i know its a good thing. Azita, thanks for the step-by-step yogurt and doogh directions. I do miss yogurt since going dairy free. Well, not completely dairy free--can't help but enjoy some yogurt now and again. Life is too short, right? 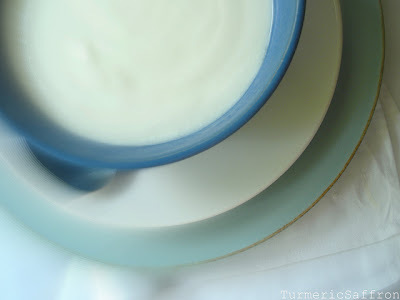 I did try making yogurt once at home with a very vague recipe passed down. Disaster! If I try again, I'll use yours as a reference. I am looking forward to making this. My ex used to make cream with the yogurt and we would eat it with fresh mint and toasted pita bread, he would also have raddish with it. But me no likie raddish. And then he would make yogurt drink with the whey. Oh man was that good. He did all the cooking. My sister would always make sure and take all left overs with her when she visited. My biggest regret is I did not write down all the steps to food he made. He moved back to Iran and I am sure he is making a lucky women very happy. 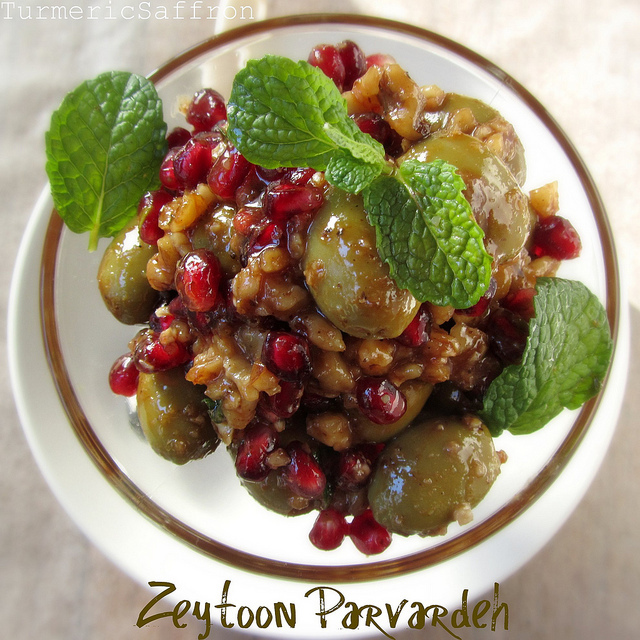 I do have a receipe book that is written in Farsi and English side by side. I guess i will look and see if yogurt is in it. Here is a bit of science behind making yogurt which could help to achieve optimal desired results. Hope you and your readers find this useful. There are two important concepts for creating thick, creamy yogurt: holding milk at 195ºF for ten minutes before culturing, and allowing the yogurt to set at a lower temperature. For a Thick, Custard-Style Yogurt, Choose a Higher Initial Milk Temperature. Standard methods for making yogurt call for the milk to be heated and cooled before culturing, and different temperatures create different styles of yogurt. Yogurt made from milk kept below 170ºF is thinner and tastes fresh, a little fruity and more tart, while yogurt made from milk held at 195ºF for 10 minutes is noticeably thicker and tastes less tart and somewhat creamy/nutty/eggy. Protein is Key to Thickening. The more protein in milk, the thicker the yogurt. The casein (protein) clusters in milk thicken yogurt by unraveling and forming a three-dimensional mesh when exposed to the lactic acid created by culturing. Heating milk before culturing denatures one of the main whey proteins, lactoglobulin, which allows it to join in the mesh (instead of remaining inactive) and effectively increases the amount of protein in the milk that will be available to thicken the yogurt. The milk needs to be held at 195ºF for ten minutes to denature most of the lactoglobulin. A little evaporation during this heating also aids the thickening benefits of this procedure. 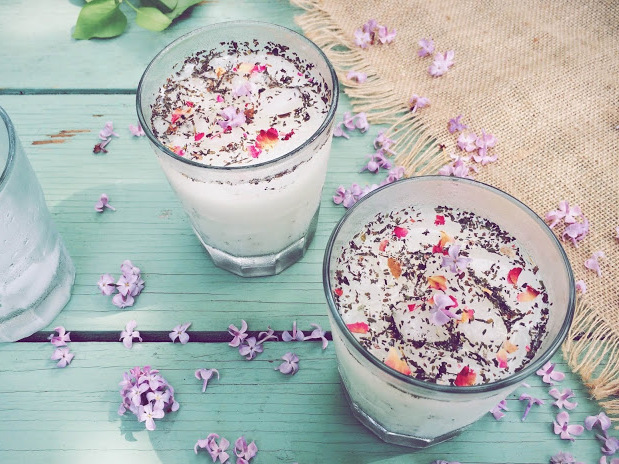 When available, higher-protein, richer milks like Jersey or Guernsey make wonderful yogurt. Yogurt made from milk that had been simmered long enough to reduce the volume by 25% is a thick, smooth and creamy yogurt with the strongest “custard” taste of any of the yogurts we tested. Lower Temperatures Give a Better Set. In addition to the quantity of protein available to form a mesh, the stability of that mesh is also important. That stability is determined by the temperature at which the protein mesh forms, i.e., the temperature of the yogurt when it sets. The yogurt will be smoother and more stable (less likely to leak whey) when it sets at a temperature below 104F. Higher temperatures and longer culturing times can cause a lumpy texture and excessive whey separation. An 86F culture makes for perfect, smooth yogurt. However, a temperature that low takes a very long time (12-18 hours) and one must consider food safety issues. I just discovered your blog and I love it! I am now obsessed with Iranian food. I am Italian and I like the fact that you cook with so many herbs and spices. Thank you so much for this beautiful blog, I am learning sooo much!